Thursday, August 23rd, was perhaps the most glorious evening of the summer season. 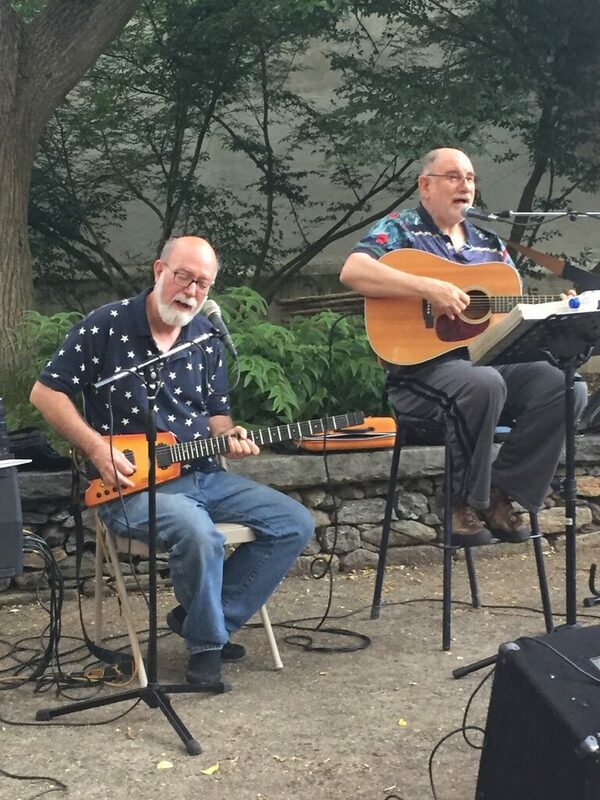 Lucky were the folks who came to hear Art Miron (right) and Millard Brown (left) serenade them with sweet harmonies and familar melodies. Next week is the concluding concert of this years first NWP Performing Arts Series.